By announcing the 36 classes – the winners, the second contest “Let’s Get Our Children Active“, which was organized by Aqua Viva, the brand of the company Knjaz Miloš, within the framework of the program of the same name for all elementary schools in Serbia was concluded. First place was taken by teacher Svetlana Stanković and class III2 from the Elementary School “Miloje Zakić“ from Kuršumlija, the vice-champions were teacher Zorica Ivković and class I1 of Elementary School “Knez Lazar“ from Lazarevac, while teacher Aleksandra Ivezić and I3 of the Elementary School “Ivo Andrić“ from Belgrade ranked third. Beside the valuable props for physical activities, which will be awarded to all 36 winners, the three top ranked classes will also be awarded unforgettable field trips for students and teachers. “When we decided to participate in the contest, we hoped for the props for exercising in which we lack. Knowing how strong the competition was, we endulged in enjoying the motion and the game, because for us becoming more skillful, stronger, more joyful, fresher, and even more prepared for the thought process was already a big gain. The first prize left us in disbelief because we never went to recreational classes so far, and now we are all going! We are grateful to Knjaz Miloš who will make this possible for us and we are eagerly waiting to return from the vacation to try out the new Aqua Viva exercises”, said teacher Svetlana Stanković. 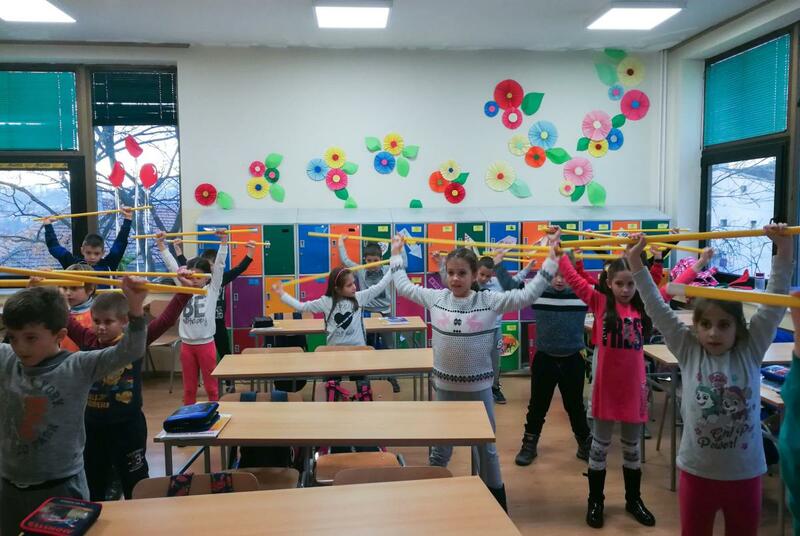 “We were thrilled with the demonstrations of exercises because the preparedness and the smiles of the pupils indicate that the proposed physical activity builds up healthy habits, the atmosphere, and team spirit in the classroom. We are particularly pleased that this year there were many applications from all parts of our country, and therefore we thank all teachers and pupils who participated in the contest for the greatest and our mutual achievement which is an active and content filled school day”, said Milana Petrović, PR Manager of the company Knjaz Miloš and member of the jury. With the program “Let’s Get Our Children Active”, Aqua Viva, in cooperation with the Ministry of Education, Science and Technological Development (ser. MPNTR) and the Serbian Association of Physical Education and Sport Professors (ser. 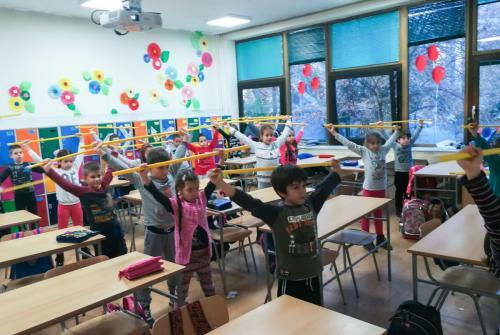 SSPFVS), introduces in all elementary schools in Serbia an additional daily fifteen-minute physical activity for pupils from 1st up to 4th grade. 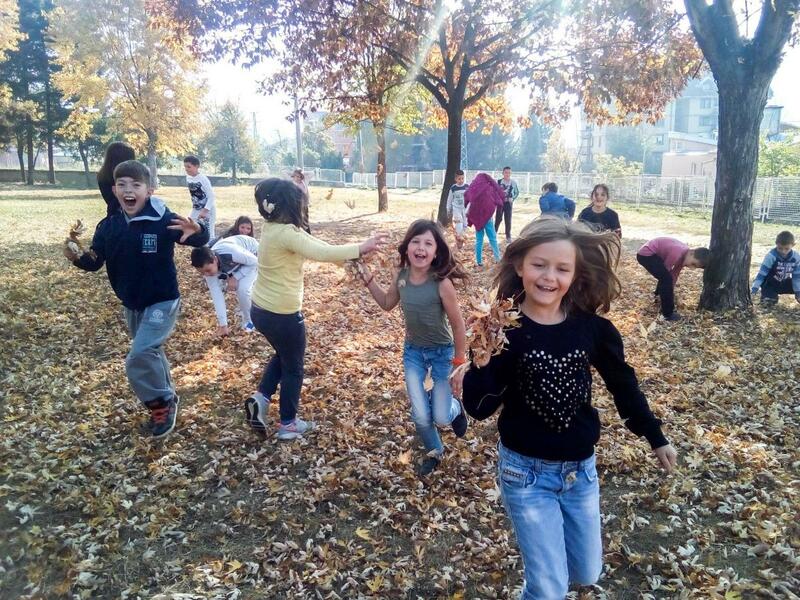 The aim of the program is to prevent poor posture, spinal deformities, and inactive lifestyle in children. Within the program, a contest is organized every year, the results of which are decided by the jury consisting of representatives of MPNTR, SSPFVS, and the company Knjaz Miloš.